In only it’s second running, Ironman® Saint George has already gained it’s well-earned reputation as the most challenging Ironman® on the US calendar. This is how the day played out, from my perspective on the course supporting the TeamEN athletes and fans in the event. In 2010, the first year of the event, athletes swim in water in the low to mid-50’s…and then jumped on their bikes with temps in the mid-50’s. The net is that the race saw a LOT of DNF’s in T1 and early on the bike due to hypothermia. 2011 was much better, with water temps in the low 60’s and a bike ride starting in the high 60’s, low 70’s and rising to mid-high 90’s later in the day. No significant swim issues were reported, especially descriptions of overcrowding, etc. The field size this year was about 1300 compared to 1800+ in 2010. Winds on race day were likely not as strong as the day before or after the event. I stood on the Veyo Wall for a couple hours, about 12-2pm and can report a headwind on the climb, and then a head/crosswind for ride from Veyo back to Saint George. The crosswinds were especially strong (from right to left), as I was blown sidewise just a bit a few times on my motorcycle riding back to town. Lots of athletes sitting up here thinking about the long marathon to come. This year was a good 15 degrees warmer than last year, with a high on the run of about 88-90+, and likely feeling much hotter with the black asphalt, especially on the climbs up to and on Red Cliffs Parkway. The final treat was a strong, strong headwind on the downhill return to town. Make no mistake…the St. George run course is the hardest IM run course in the US, full stop. Add the heat, the winds, and early date, with very few athletes having had the chance to acclimate, and it’s reputation only grows. Timing and location: the most important criteria for selecting a race is timing — does the timing of the event work for you, given work, family, vacation time, hours of daylight available, weather, etc? Location is a close second, as close = huge money savings. For these reasons, the timing and location of St. George still works for a large number of CA, NV, UT, NM and TX athletes. The timing is workable for many athletes in the southern states, but is a bear for everyone else. The Challenge: I expect a tier of multiple Ironman® finishers will see St. George as an opportunity to challenge themselves on the most difficult IM course. 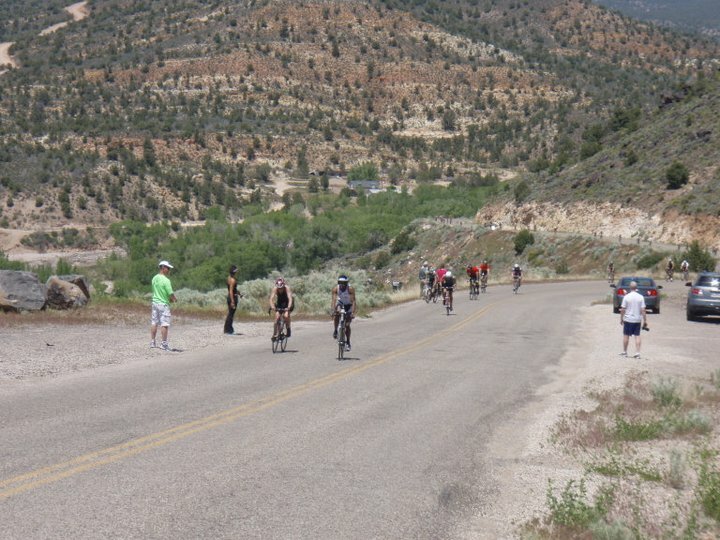 Interested in learning more about Ironman® Saint George? Visit our TeamEN vs IMSG website, where we’ve made available all of our IMSG-specific resources delivered to you via email. Just register for the St. George Seminar and each installment will be delivered to your inbox!